Posted September 13th, 2015 by Melody Taylor-Fliege & filed under Integrity, Leadership, Life Coaching. 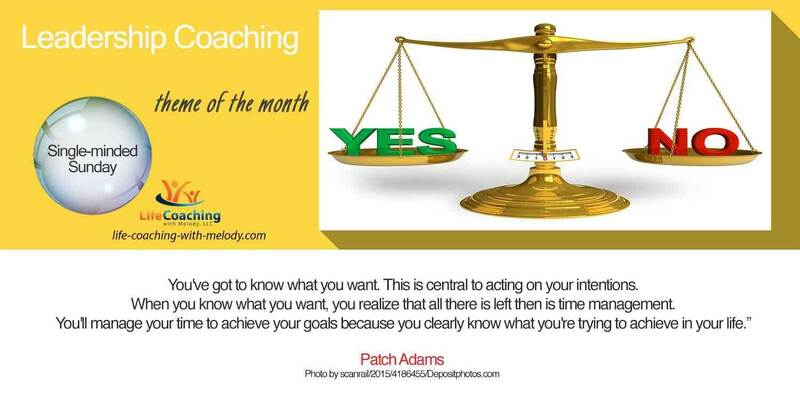 Knowing what you want strengthens your leadership abilities. Remind yourself what is truly important to you by listing the five most important goals in your life. Now, if you had to give up 3 of them, which three ones would you give up? And if you could only keep 1 of the last two most important goals on your list, which one would you keep? There you have it! You now know the order of importance of your highest goals. This helps you to focus better on achieving what you want most and act on your truest intentions. How can you apply that learning in your life today?